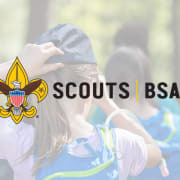 The mission of the Boy Scouts of America and Scouts, BSA is to prepare young people to make ethical and moral choices over their lifetimes by instilling in them the values of the Scout Oath and Law. If you clicked on this profile there is a good chance that you were a Scout at some point growing up, or maybe you had a brother or good friend who was a Scout. Scouting has been up in the news quite a bit lately, but if you sift through the media and come sit down with us for a cup of coffee you will see that our program is the same one you grew up with and loved. The one major change is that the sisters no longer are sitting on the sidelines. The sisters and many other girls who are excited about wilderness, adventure, and the BSA leadership and character development are joining in on the fun! Whether you would like to Volunteer at one event a year, once a quarter or once a month, we would love to connect and learn about you. Specifically looking for some ladies out there who enjoy camping and hiking and would like to help out a Girl Troop or help with an event. Thanks for checking us out! Looking forward to hearing from you. Would you recommend Boy Scouts of America, Aloha Council?